STEM & Literacy Pathways for Early Learners (Pathways) is the most recent and innovative product to be developed by Destination Imagination (DI) for Early Childhood. Click here to download our program overview booklet or click through the booklet below. Pathways is designed to prepare 3-6 year olds with a jump start in literacy as well as Science, Technology, Engineering and Mathematics (“STEM”) concepts, while promoting critical and creative thinking skills. These skills, combined with DI’s unique and proven style, aim to increase social, emotional, and educational outcomes for participants. As with all DI programs, Pathways teaches the creative process from imagination to innovation through a process called “inquiry-guided” group learning, helping even the youngest students deal with new material or equipment. Pathways is designed to assist teachers and parents in teaching STEM and literacy concepts to very young learners. For classrooms where the Classroom Assessment Scoring System (CLASS) is used (for example, Head Start centers), Pathways will aide teachers in the “Instructional Support” domain. We hope teachers will delight in such a wonderful and simple program to help them promote STEM and literacy in their preschool classrooms and home schools. Every year, Destination Imagination writers develop a new Rising Stars! for Early Learners Challenge. They focus on creating a fun learning environment and allowing kids to be creative. The Challenge is noncompetitive, which helps ease pressure and lets kids play and experiment with their solutions. However, there is a showcase option, which allows teams to perform their solutions at a tournament. Click here to preview our Rising Stars! Challenge. 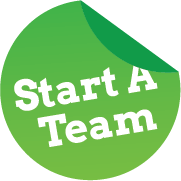 Click here to start a team today.